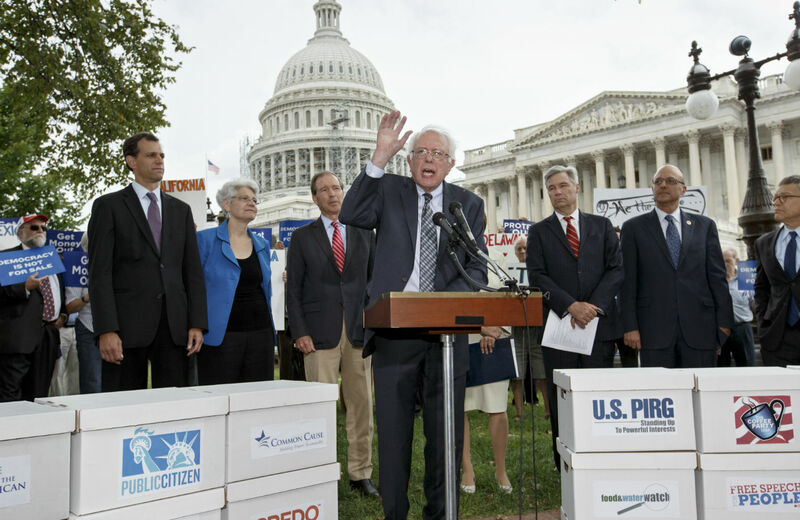 The Senate Tried to Overturn ‘Citizens United’ Today. Guess What Stopped Them? But this fight is far from over. A majority of the United States Senate has voted to advance a constitutional amendment to restore the ability of Congress and the states to establish campaign fundraising and spending rules with an eye toward preventing billionaires and corporations from buying elections. “Today was a historic day for campaign finance reform, with more than half of the Senate voting on a constitutional amendment to make it clear that the American people have the right to regulate campaign finance,” declared Senator Tom Udall, the New Mexico Democrat who in June proposed his amendment to address some of the worst results of the Supreme Court’s interventions in with the recent Citizens United v. Federal Election Commission and McCutcheon v. Federal Election Commission decisions, as well as the 1976 decision in Buckley v. Valeo. The bad news is that it’s going to take more than a majority to renew democracy. Fifty-four senators, all Democrats and independents who caucus with the Democrats, voted Thursday for the amendment to clarify in the Constitution that Congress and the states have the authority to do what they did for a century before activist judges began intervening on behalf of wealthy donors and corporations: enact meaningful campaign finance rules and regulations. The Republican opposition effectively blocked further consideration of the amendment proposal, since sixty votes were needed to end debate and force a vote. And, even if the Republicans had not filibustered the initiative, actual passage of an amendment would have required a two-thirds vote. Sanders is right to reference the role of grassroots movements. Four years ago, when the US Supreme Court removed barriers to corporate spending to buy elections, serious reformers said a constitutional amendment would be necessary to reverse the Court’s Citizens United ruling. Most pundits and politicians, even those who recognized the threat posed to democracy by the opening of the floodgates for big money, dismissed a constitutional fix as too bold and too difficult to achieve. But the people embraced the constitutional route to reform. Grassroots organizing succeeded in getting sixteen states and close to 600 communities to formally demand that Congress act. At the same time, the money poured in, with campaigning spending breaking records in the 2012 presidential and congressional elections—and heading toward breaking the record for midterm elections in 2014. That was enough to shake up even the most cautious Senate Democrats, who began moving earlier this year to advance the Udall amendment. Though activists wanted a stronger amendment, the Senate deliberations confirmed that there is broad support for a constitutional response to the money-in-politics mess—and that a substantial number of senators now see that constitutional response as right and necessary. With the DC debate done, for now, the fight goes back to the grassroots. Activists with groups such as Move to Amend, Public Citizen’s “Democracy is for People” campaign and Free Speech for People will continue to organize and agitate, not just for an amendment but for an amendment that makes it absolutely clear that money is not speech, that corporations are not people and that citizens have a right to organize elections where votes matter more than dollars.